Enhar was engaged by a Council in Western Australia to provide a technical feasibility study into a wind farm concept. 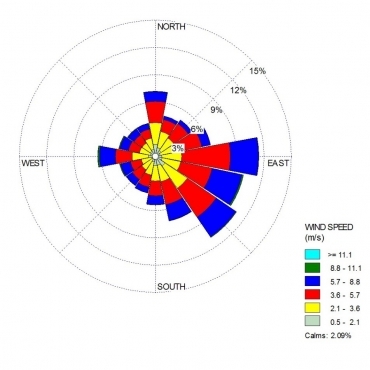 Enhar is responsible for regular checking of wind data and production of a 6 month report and 12 month report. The final report will include long term hub height wind speed and direction, to confirm the estimates provided in our feasibility and underpin a major investment decision by the Council. In addition Enhar will provide the Council with comparison figures on solar farm development to enable the Council to confirm its large scale renewable energy strategy.